Almost 50 years on, it’s still airing somewhere. 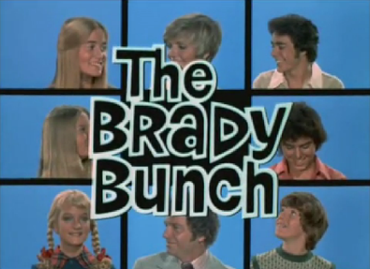 The Brady Bunch was a Gen-X touchstone due to frequent reruns in the 1970s and spawned sequel series, TV movies, a variety show, an animated TV show, off-broadway recreations and two remake movies. Millennials may never understand why us OGs still fondly remember the show, but there’s no mistaking that it’s one of the biggest cultural influences of the second half of the twentieth century. Not bad considering the show was panned for being rosy and irrelevant when it premiered in 1969. And let me tell you, if you happen to actually watch an episode today, it’s pretty bad. Neat, episodic storylines with identical music cues and OMG Cindy’s lisp. The only thing that makes it palatable is that cool midcentury architecture and hip fashion sense. I think most people have left the Bunch behind finally, but apparently there’s one soul out there carefully tending the fire. A Very Brady Blog which claims to be curated by the son of minor character Mr. Dimsdale, is still serving up about one piece of content every other day and has been doing so since 2009. I admire his persistence, if nothing else. If you ever wanted to live in a split-level with your 5 brothers and sisters sharing one bathroom, you owe it to yourself on this Fun Friday to take a bop over there. If you’re in Southern California, you can also drive down Dilling Street in Studio City and see the house where the exterior shots were filmed, not surprisingly just a quick hop from Universal Studios. FUN FRIDAY: Wait, Cars really ARE people?